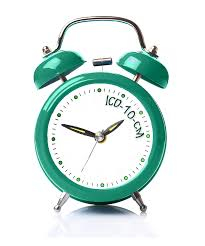 ICD-10 is Coming, Will Your Medical Billing Department Be Ready? The new ICD-10 diagnosis codes will take effect on October 1, 2015. All healthcare providers will be required to comply with the new regulations. It is important that coding issues be addressed well in advance of the deadline. Failure to have a plan may result in significant trouble with insurance reimbursements. These changes in the medical billing practices are significant enough to have caused marked slowdowns in billing and payment in other countries. So what can a healthcare provider expect when their office phases out ICD-9 and incorporates the ICD-10 billing requirements into their healthcare practice? First, there is an increase in the number of billing codes, from 17,000 to 140,000. Coders will need to have a more detailed knowledge of anatomy and physiology, as well as medical terminology. Medical practices and providers will also have to invest in software designed to accept new codes and doctors will need to be more specific in their documentation to get paid. Superbills, which had been used in the past as a way of quickly coding diagnoses and service codes may no longer save time. Unfortunately, more codes to choose from may render superbills obsolete. The new ICD-10 codes also mean changes in patient coverage. Doctors will need to be more specific in their documentation and code observations such as stages of healing. The new ICD-10 codes include more payment limitations for services. We have coders familiar with fifty two specialties that are here to assist you make a smooth transition to ICD-10. Don’t delay until just before the deadline to begin addressing your ICD-10 software and coding needs. Without education medical providers can expect a slowdown in accounts receivable which decreases cash flow ; the number of billing audits may also increase.. Medical billing departments can expect an increase in call volume for denials and rejected claims. Other countries that have already implemented the ICD-10 codes report a 50% longer turnaround time for medical accounts receivable and a decrease of 50% in coder productivity. If the changes are implemented over time and proper education given, these changes will have only a short-term and minimal.